Intense heat discouraged me to explore more temples of Kyoto. I decided to go back to my guesthouse to prepare for check out. Two days in the northern part of Central Kyoto was about to end. Attractions left on my list were those near Kyoto Station and on the southern part of the city. 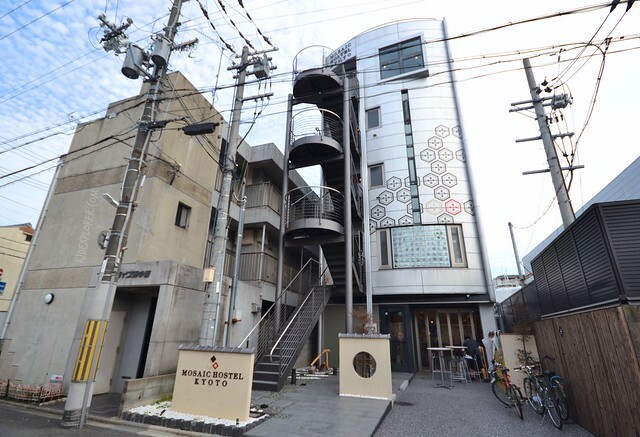 Time to move on to my next hostel, Mosaic Hostel Kyoto. Mosaic Hostel Kyoto’s common area on the ground floor. Bus 205 from Kyoto Station brought me to Kujo Shakomae, which is a just a minute walk to Mosaic Hostel Kyoto. The 5-story building is very visible from the highway and there’s no other way you can miss the hostel. Frontage is not that wide but the building extends on the other side. The front-desk also doubles as bar for some drinks. Streets of Kyoto continued to digest the heat spurted by the sun. It’s fine for me especially it’s not that humid compared to the Philippines. My only dilemma is that I sweat excessively. 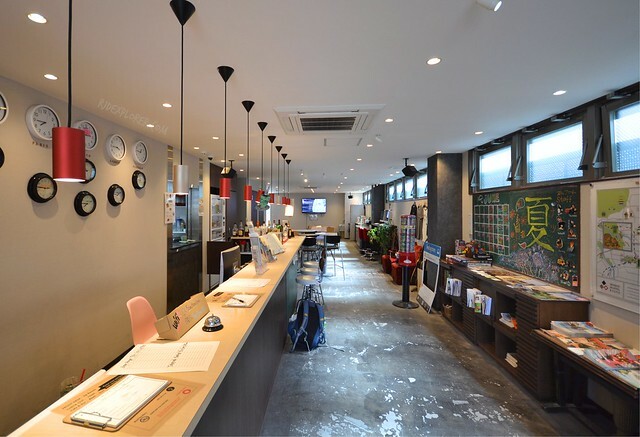 Arrival at the front office of Mosaic Hostel Kyoto was so cool, literally because of the nippy temperature. 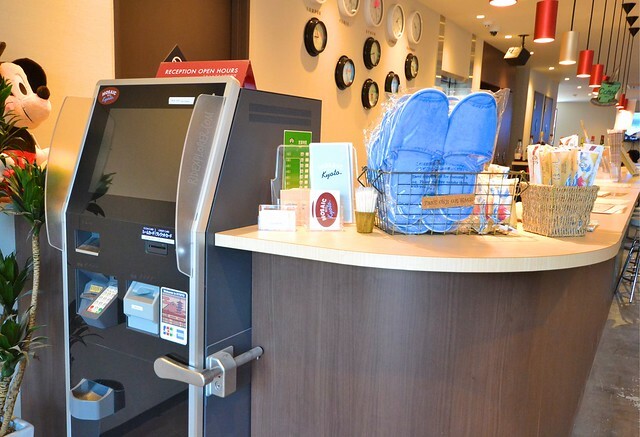 Check-in/out machine and lotsa freebies. It’s not check-in time yet the crew already asked me to fill in the guest form. Tatsuki went upstairs to check if my bed was ready and upon verification, they allowed my admission. Some house rules and hostel information were provided before I made my way on the third floor of the building. Laundry are on the topmost floor. 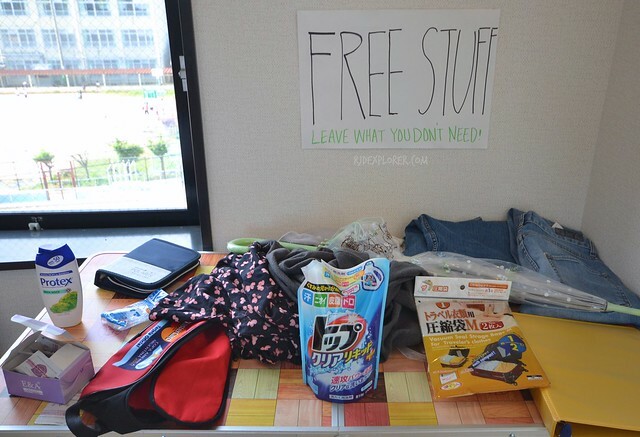 You can leave stuff you don’t need that others might need. Floors are labeled on one side of the elevator with the ground floor the bar, cafe, and common area, second and third for mixed dormitories, next one for female dormitory, and the topmost floor for laundry area and roof deck. 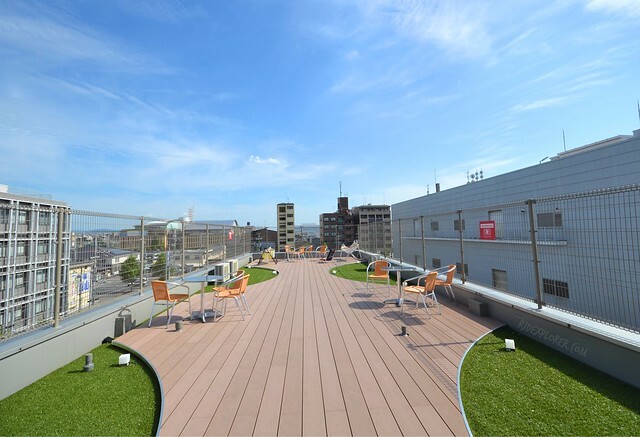 Yes, Mosaic Hostel Kyoto has a roof-deck that suggests stunning views of the city day or night. However, with regard to the regulations of the city, the management only allows maximum of 13 people at the same time on the deck. With all the hostels I’ve stayed so far, the floor layout of Mosaic Hostel Kyoto is one of the best. When you arrive on your floor, first area is the toilet, shower, and sink. 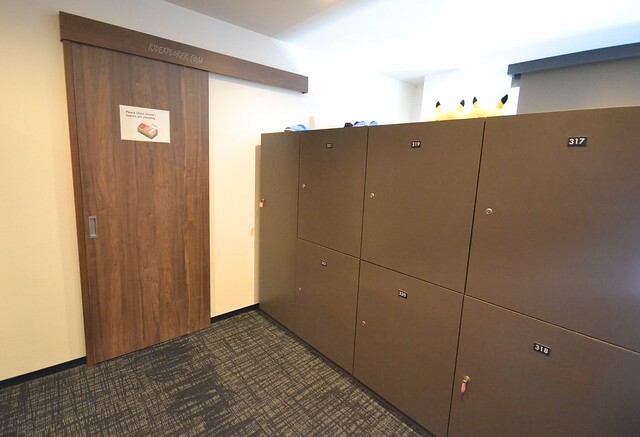 Accessing the door using your keycard will allow you entry to the second compartment housing all the lockers offering ample space for your luggage or backpack. Keys are provided for the lockers so no need to bring one. Through a wooden sliding door, are the capsule beds. Locker area in between the toilets and showers, and the dormitory room. I value the layout especially when you’re about to take a shower. Getting out of the dorm room will require you to stop and get all your shower essentials on your locker before proceeding outside for the shower area. 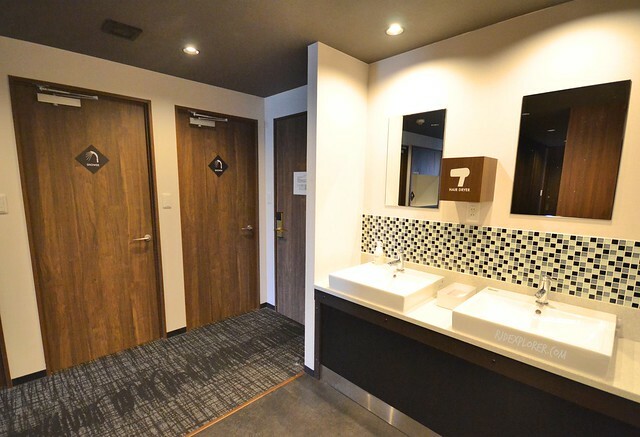 Please note though that when using the toilet and shower, always bring your keycard with you because opening the door that separates the shower facilities and locker area requires your keycard. 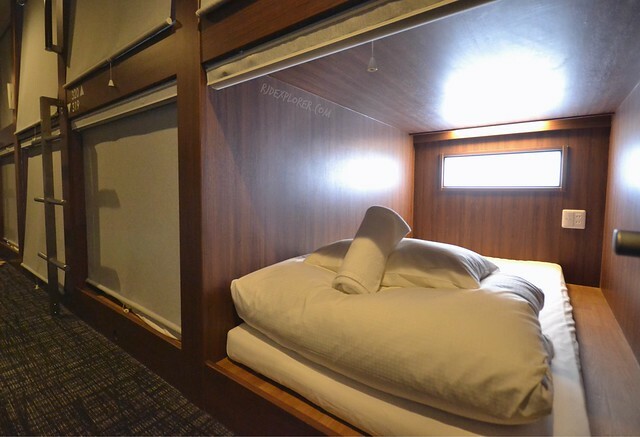 In terms of bedroom, the capsule bed provides more space than usual. I think another person of same built can still comfortably fit inside the bunk. However, only a person is allowed per capsule. Soft sheets, a normal pillow, and a free towel. Bed facilities include the usual power outlets and light source. Opening of the capsule is covered with a single-pull blind. 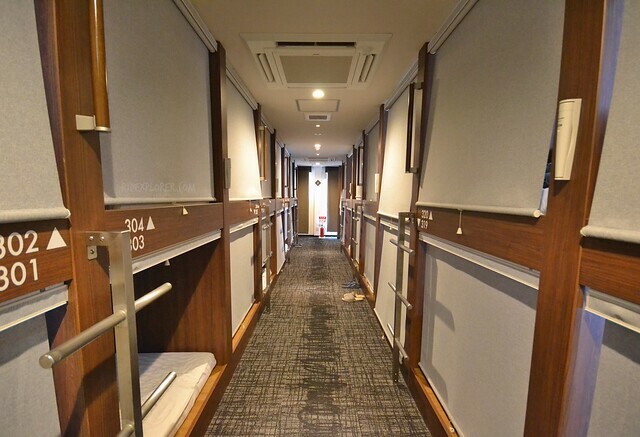 Shared rooms and the capsule beds. If by chance you forgot to throw some travel essentials, Mosaic Hostel Kyoto is generous enough to provide in-room slippers, vanity kits like cotton buds, razor, and dental kit. Shoes and other footwear are only allowed up to the locker area so don’t forget to get one of the free slippers. 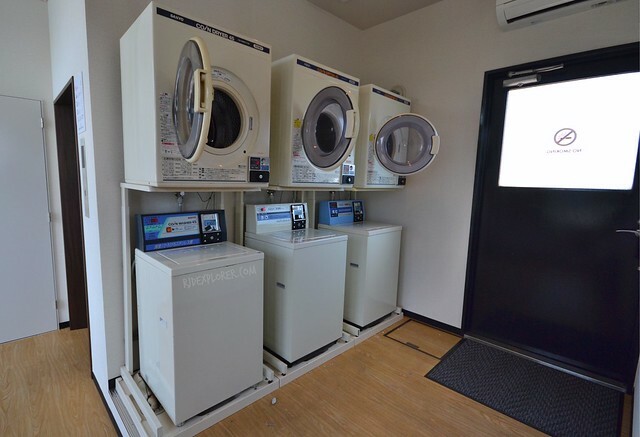 Mosaic Hostel Kyoto’s take on capsule accommodation. For the toilet and shower, there are 3-4 toilets per floor and 3-4 shower cubicles as well. Hot and cold shower same with shower essentials like shampoo, conditioner, and body soap are available. Hairdryers are placed in boxes on the side of the vanity mirrors on the sink area. 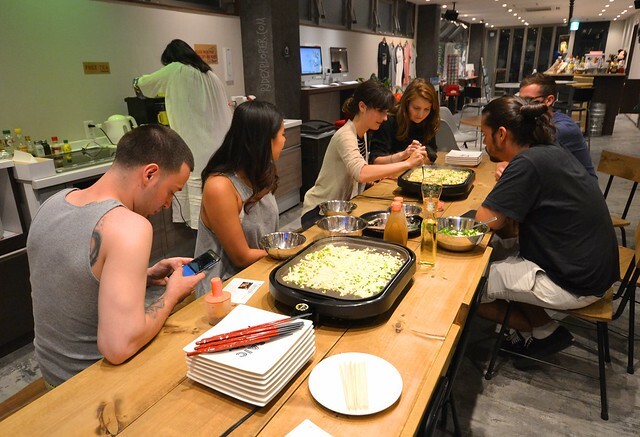 Stuff you don’t want to miss on your stay at Mosaic Hostel Kyoto are the evening events. These include but not limited to beer pong, gyoza and takoyaki making, and movie nights. I was able to join the takoyaki night where the crew handed over a recipe of the famous Japanese food. Ingredients then appeared in bowls whilst the pan for cooking was preheated. It was a fun night to try cooking a takoyaki and sharing it with other travelers around the world. Takoyaki cooking with these folks from US and some countries in South America. The entertainment system, a flat-screen television with great sound technology makes everyone on the groove while staying at the common lounge. Kitchen area offers free use of the fridge (don’t forget to label your stuff), microwave oven (for food bought from convenience stores), and washing area. Free use of fridge, microwave overs, and water heaters. 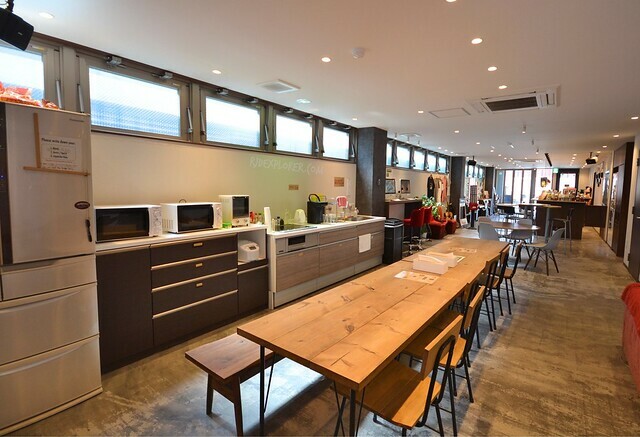 My stay at Mosaic Hostel Kyoto was a short one and I wanted to stay longer. However, my plans of visiting sites like Nara, Osaka, and Hyogo Prefectures were waiting for me. 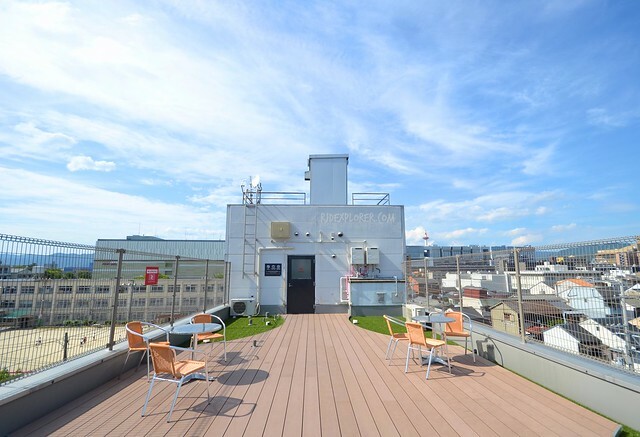 If you plan to make Kyoto Station your main transportation hub in exploring temples, shrines, and palaces in Kyoto, then Mosaic Hostel Kyoto is highly recommended. They have friendly and helpful crew, a lovely roof terrace, excellent capsule beds, and fun night events. 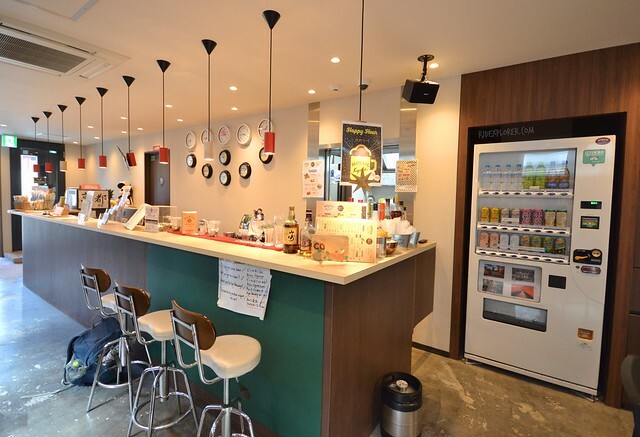 Next articleOSAKA | The DORM Hostel Osaka: Library or Hostel?